I'm not actually a vegetarian because I eat limited amounts of poultry and fish, however I do not eat any other source of meat. However, when I need to remember to get my protein in, I will grab some slices of turkey cold cuts from Applegate Farms. Applegate Farms produces organic and natural meat products. Their animals are never given antibiotics and are fed a completely vegetarian diet. The cattle are grass fed and the hogs and poultry are fed a grain diet. The animals receive no growth hormones or artificial growth promotants and are minimally processed. They also do not contain any nitrites or nitrates and, instead, are preserved using celery juice and sea salt. Applegate Farms products are available in NYC at Whole Foods, The Food Emporium, The Health Nuts, Fairway, Westerly Health Foods, and other select health food stores. For more information, visit their website at www.applegatefarms.com. A brand that I've previously featured on Ms. Celiac Says, Enjoy Life Foods, has been kind enough to send me an early preview of their New and Improved granola that will be hitting stores shelves in April! The granola is available in 3 flavors that include Cinnamon Crunch, Cranapple Crunch, and Very Berry Crunch. One of the great things about Enjoy Life Foods that I've mentioned in the past is that their products are Allergy Friendly. They are free of the 8 most common allergens (wheat, dairy, peanuts, tree nuts, egg, soy, fish, and shellfish). Their products are also gluten free and sulfite free. The crunchy granola is both vegan and Kosher Pareve, as well. This weekend when I tried out their new gluten free granola, I was blown away. It tastes just like what I remember "real" granola to taste like: small chunks with bits of dried fruit mixed in. The Cinnamon Crunch was my favorite with tiny raisins tossed throughout. Immediately upon opening the bag of Cranapple Crunch, the aroma of fresh apples filled the room and the cranberries delighted my taste buds. The Very Berry Crunch was also delicious with the sweet flavors of raspberries and strawberries. I also must say that I loved the cheerfully colored bags of granola (purple, green, and red - pictured above). It will definitely make them stand out on a store shelf. In New York City, Enjoy Life products are sold at Whole Foods and many health food stores. For more information and to find where Enjoy Life products are available in your area, please visit their website at www.enjoylifefoods.com. Currently, you may also download a 55 cent off coupon at their website, as well. I just wanted to let you know that there will be no post tomorrow (Friday 3/27) as I will be starting full-time employment. However, I will be back with posts at a regular schedule on Monday morning! Next week you can look forward to a review of Enjoy Life's New & Improved Granola recipe that will be on shelves in April! Risotteria is a gluten free landmark located in NYC's West Village on Bleecker Street between 6th and 7th Avenues. They have been around for a long time and are constantly striving to make their gluten free experience better and better. I stopped by their restaurant the other day and was absolutely amazed by the selection of baked goods! They also have an entire line of frozen foods that you can buy and save for a later date. In addition to this, they have baking mixes that you can purchase too. Risotteria is open 7 days a week from noon to 11 PM. They serve a huge selection of gluten free salads, soups, risotto, pizza, paninis, breadsticks, and baked goods. My favorites are the tomato sauce and mozzarella pizza and the mozzarella and pesto panini! If you are vegetarian, they have a ton of options to choose from too! Tuesday is Gluten Free Pasta Day where you can choose from a selection of 4 pasta dishes with the Gluten Free Rice Pasta imported from Italy. Risotteria also has a great selection of gluten free baked goods that include brownies, chocolate chip cookies, carrot cake, cream filled sprinkle topped cupcakes, black and white cookies, chocolate creme sandwiches, twinkies, chocolate chip fudge filled cookies, vanilla pound cake, chocolate tiramisu, lemony crust less cheese cake, and a selection of pies. It can be very difficult to find Chinese food when you're on a gluten free diet. However, if you are in NYC, then you are in luck. There is a restaurant on the upper east side called Lilli and Loo that serves gluten free Chinese cuisine. Their gluten free menu includes a selection of tasty starters, soups, salads, pasta, fried rice, grilled entrees, seared and crispy entrees, and sauteed entrees. They serve everything from BBQ Boneless Ribs to Pad Thai Noodles to Manchurian Beef to Saigon Shrimp. Even better is the Gluten Free Lunch Special which is available Monday through Friday from 11 AM to 4 PM. This includes 1 entree from a selection of 8, served with a green salad and steamed white or brown rice (except noodle dishes) for $10.95. Lilli and Loo also has a variety of Gluten Free Sushi Rolls that include the Hard Rock, Tuna Lover, Rainbow Volcano, Black Angel, Phoenix, and Red Forest. For more information, please visit their website at www.lilliandloo.com. Amy's Kitchen has provided me with truly delectable and healthy meals for the past several years. While I was in college, I lived on their frozen meals when I didn't have the time to cook. It was nice to know that even though it was a frozen meal, what I was eating was both gluten free and healthy and provided me with protein and vegetables. All of Amy's products are vegetarian and, therefore, contain no meat, fish, poultry, or eggs and the cheeses used in some of the products are made from pasteurized rBST hormone free milk and they do not contain animal enzymes or rennet. They also offer many allergy free and special diet options besides their gluten free selections. They have products that are dairy free, lactose free, soy free, corn free, tree nut free, as well as, many low fat, cholesterol free, vegan, Kosher, and light in sodium choices. Amy's Kitchen products are available at mainstream and specialty health food stores. For more information, please visit their website at www.amyskitchen.com. Blue Diamond Nut Thins are a tasty and addicting snack cracker! Throughout college, there were times when I probably consumed a box in one sitting! Thankfully, they are fairly healthy and that wasn't as bad for me as it sounds. Nut Thins are low in fat and have no cholesterol and contain 3 grams of protein per serving. They are gluten free and each production run is tested to confirm that the gluten levels are less than 20 ppm. Blue Diamond is also a proud sponsor of the Celiac Disease Foundation and the National Foundation for Celiac Awareness. Nut Thins are available in 6 delicious flavors including Almond [My Favorite! ], Hazelnut, Pecan, Country Ranch, Cheddar Cheese, and Smokehouse. They are available to purchase at the Blue Diamond website and at Ms. Celiac's Market. They are also available at many mainstream supermarkets and health food stores. I hope you are all having a great weekend! I've got several exciting things to tell you all about. Enjoy Life Foods will be releasing their NEW and IMPROVED granola this April and they are kind enough to give me a sneak peek. I will be letting you know my review toward the end of the week. I can tell you now that there are 3 flavors that include Cranapple Crunch, Cinnamon Crunch, and Very Berry. I am very much looking forward to sampling these new products! This week Starbucks celebrated their 1 year anniversary of their "My Starbucks Idea." Due to the requests of people around the globe, Starbucks has initiated several new ideas into the Starbucks experience. This includes some great ideas such as the splash sticks, the VIP cards, and the free Wi-Fi internet. In the newsletter that Starbucks sent out to their loyal customers, they mention that Gluten Free food offerings are "Currently In Review." Hopefully, we will soon be hearing more information in regards to this and we will finally see gluten free products at Starbucks. I have also received confirmation from General Mills that their Betty Crocker line will be introducing Gluten Free Baking Mixes in June 2009. These 4 products will be Gluten Free Cake Mix in Yellow and Devils Food Flavors, Gluten Free Brownie Mix, and a Gluten Free Chocolate Chip Cookie Mix. And for those of you who cannot wait any longer for the Suffolk County Celiacs Vendor Fair in April, why not check out the Westchester Celiac Sprue Support Group Meeting and Vendor Fair at Phelps Memorial Hospital in Sleepy Hollow, New York on Sunday, March 29th at 1:30 PM. The following vendors will be at the fair: Jake Bakes, Millers Gluten Free Bread Company, Curious Cookie, DeCicco Marketplace in Ardsley, Kettle Cuisine (featured on Ms. Celiac Says), Glow Gluten Free, and Katz Gluten Free. For more information, visit their website at westchesterceliacs.org. And after the tremendous success of our week long feature on the gluten free products and restaurants of Northern Italy, I will soon be doing another week long feature on the gluten free products and restaurants of Paris, France. So, you will want to stay tuned for that! Whole Foods Market is a great place to shop when you're on a gluten free diet. They have a wide selection of gluten free products, but you need to know where to look. 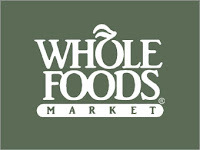 Unlike some grocery stores / health food markets that have a specific section with all of their gluten free products, Whole Foods Market has them throughout the store. *The Ready-Made Food Section - Check all the clearly labeled ingredients on the prepared foods. Also look around for gluten free cookies, cupcakes, and brownies. There are also soups and cold cuts located here too. *The Frozen Food Section - Frozen Meals, Chicken Fingers, French Fries, Soups, Ice Cream, Soy Cream, etc. Whole Foods Market also has their own blog that you can visit here or visit their website at www.wholefoodsmarket.com. If you're looking for a vegetarian restaurant with several gluten free options, look no further than Zen Palate. 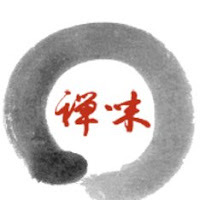 Zen Palate prides itself on using no MSG and no partially hydrogenated oils in its food. In addition to the vegetarian menu, there are also an assortment of vegan options. Zen Palate has 2 locations in NYC. One is in the theatre district at 663 Ninth Avenue at 46th street and the other is in the financial district at 104 John Street. There is also a location in Princeton, New Jersey. Online ordering is also available and you will receive 15% off your first online order. Please visit their website, www.zenpalate.com, for more information on delivery areas. In one of the first posts on Ms. Celiac Says, I gave the recipe for delicious Holiday icing cookies. The sugar cookie mix that I used to make those was by Cherrybrook Kitchen. 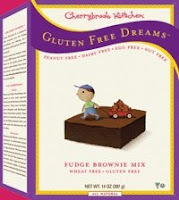 Cherrybrook Kitchen, "the sweet solution for food allergies," produces baking mixes, frosting mixes, frosting, and cookies that are gluten free, peanut free, dairy free, egg free, and nut free. Their products are also vegan and certified Kosher by the Orthodox Union. My two favorite mixes are the Gluten Free Chocolate Chip Cookie Mix and the Gluten Free Sugar Cookie Mix. You can see some of the Chocolate Chip cookies I recently made photographed below. Cherrybrook Kitchen products are available in NYC at Whole Foods Markets and Pier 1 Imports. For a location where these products are sold near you, please visit their website at www.cherrybrookkitchen.com. You can also purchase their products at Ms. Celiac's Market. As someone on a gluten free diet, I understand how it isn't always easy to find gluten free food when you're traveling or even when you're just going to be out of the house for a long time. That is why I like to bring some sort of nutrition bar with me, just in case, I need something to eat and there is nothing around me that is gluten free. One of my favorite bars to bring on long trips are Balance Bars. There are not may gluten free bars that are high in protein, but these are and they are a delicious and filling snack or meal substitute. The Balance Original bar is based on the balanced ratio of carbohydrates, protein, and dietary fats. It is available in 7 gluten free flavors including Almond Brownie, Chocolate, Honey Peanut, Peanut Butter, Yogurt Honey Peanut and my 2 favorites Chocolate Raspberry Fudge and Mocha Chip. Although the company has told me that these are gluten free, the packages are not labeled gluten free so you may want to double-check with the company on your own. However, the company makes it clear that all gluten ingredients will always be labeled clearly on the product, as well as, if an allergen is manufactured on the same machine as the product. Balance has also recently come out with a line of bars that they are advertising as gluten free. These are called Balance Pure and are composed of real fruit and nuts and have 9 grams of protein. I haven't tried these yet, but I plan on tasting them real soon. These bars are available in 2 flavors: Cherry Pecan and Chocolate Cashew. For more information on Balance Bars, please visit their website at www.balance.com. Balance Original and Balance Pure are available to purchase at Ms. Celiac's Market. One of the first gluten free products, I encountered when starting on the gluten free diet was Glenny's Low Fat Soy Crisps. 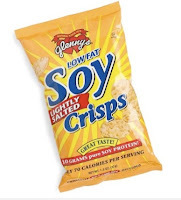 For the first year on the diet, I lived on this light, tasty snack that comes in a variety of gluten free flavors that include: Lightly Salted (My Favorite! ), Apple Cinnamon, Barbeque, Cool Ranch, Cheddar, Onion & Garlic, Unsalted, White Cheddar, and Salt & Pepper. More recently, I also discovered that they make a range of chips called Spud Delites. These are absolutely delicious as well. My favorite flavor is the Sour Cream & Onion but they also are available in Sea Salt and Texas BBQ. In addition to the above mentioned gluten free snack options, Glenny's also makes Marshmallow Treats available in Raspberry Jubilee, Vanilla, Chocolate, and Peanut Caramel and Gluten Free Oatmeal Cookies available in Chocolate Chip and Oatmeal Raisin. The great thing about Glenny's is that they are available in not only most health food stores but in many mainstream markets too! For more information on Glenny's, please visit www.glennys.com. Glenny's Soy Crisps and Spud Delites are available to purchase at Ms. Celiac's Market. For all of you gluten free health nuts out there, Josie's restaurants are a great option. Not only do they provide a wide array of healthy meal options, but they also are very aware of gluten and can alter most of their items to be gluten free. Once you alert your server about your need for a gluten free diet, you will be amazed at their familiarity with the diet. There are several restaurants in New York City within the Josie's family. These restaurants include the original and my favorite Josie's West, Josie's Restaurant East, Josephina, Citrus, and Josies Kitchen. Another great feature is that the restaurants deliver. A few nights ago, I ate at Josie's Restaurant East and I enjoyed a delicious gluten free roast chicken with a side of string beans and carrots. It was a huge portion and enough for two meals which was nice. So, be sure to check out at least one of the Josie's Restaurants! For more information, please visit www.josiesnyc.com. The 3rd Annual Suffolk County Celiacs Vendor Fair & Fundraiser will take place on Sunday, April 26th, 2009 in Hauppauge, New York from 11 AM to 4 PM. Over 50 gluten free vendors will be selling their products and as I can attest from the past two that I attended, there are many free samples! The entrance fee is $10 and must be paid on the day of the event in cash. Children under the age of 12 years may attend for free. Profits will be donated to the Celiac Disease Center at Columbia University. For more information and the event location, please visit: www.suffolkcountyceliacs.com. Most brands have some sort of slogan, but Kinnikinnick Foods Inc. "Gluten Free Has Never Tasted So Good," is one you can believe! Kinnikinnick makes a wide assortment of delicious gluten free products. From breads to baking mixes to bagels to donuts to cookies. I have never tried a product by this brand that I didn't enjoy! I must add that their donuts are to die for and are the best donuts I've had gluten free or not and they are even dairy free too! If you are in Edmonton, Canada then you are very lucky as you can check out their retail store which is entirely gluten free with over 200 items. You can also order special event cakes and wedding cakes here if you are in the area. However, if you are not in Canada, there products are available at many health food stores throughout the United States or you can order them online at their website www.kinnikinnick.com. In addition, to being gluten free most of their products are dairy free as well. Below I will provide a list of their gluten free products with a special note if the product contains dairy. All of these products are available at www.kinnikinnick.com and the Montana's Chocolate Chip Cookies are available at Ms. Celiac's Market. I've been wanting to feature this pizzeria since I started the blog but I've been patiently waiting as every time I go back they have a new gluten free product and are continuously expanding. Yesterday, I went back to grab dinner and the storefront had been transformed into a gluten free paradise. Not only do they serve gluten free pizza but they have a variety of pizzas that you can buy by the slice (!!!) and you can choose from several different toppings. The tasty crust is made from a secret recipe of brown rice and beans. In addition to pizzas, they serve a selection of gluten free pastas including baked ziti, penne vodka, basil pesto, penne alfredo, and penne goat cheese primavera. Recently, they also started to make a variety of delicious gluten free wraps including a turkey wrap that I love. For dessert, not only do they have a variety of gluten free cake slices and cupcakes, but they also have a huge assortment of gluten free cookies (including flavors such as raspberry white chocolate, oreo, and banana sundae). Mozzarelli's is now open 7 days a week and is located at 38 East 23rd Street between Park Avenue South and Madison Ave. Recently, I've had the good fortune of discovering Crunchmaster Crackers (manufactured by TH Foods). They are both a tasty and healthy snack! As many of us on a gluten free diet know, it is very hard to find a gluten free cracker that is worth eating, but these are delicious! Crunchmaster makes a variety of different types of crackers including Baked Rice Crackers (available in Sesame, Toasted Sesame, Cheese, and Artisan Four Cheese), Multi-Grain Crackers, and Multi-Seed Crackers (available in Roasted Garlic, Rosemary & Olive Oil, Original, and Sweet Onion). All of their products are certified gluten free by the Gluten Free Certification Organization. In addition to being a great snack for those on a gluten free diet, they are also suitable for those on Kosher, sodium restricted, low fat, and/or vegetarian diets. Crunchmaster Crackers are available for sale at select locations throughout the United States and Canada. 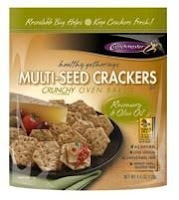 You may also purchase them online at the Crunchmaster Online Store or at Ms. Celiac's Market. For more information on Crunchmaster Products, visit their website at www.crunchmaster.com. I do apologize that there was no post this morning. I had quite a hectic weekend / day today and the product I was hoping to feature ended up not existing, which was a disappointment. To clarify, a few weeks ago I had heard about this place called Lenny's that has several locations throughout NYC. Apparently, they were selling a gluten free Pumpkin Gingerbread and a gluten free Banana Bread by Better Bread at two of their locations according to this website: Better Bread. However, when I went to the Lenny's location on the Upper West Side they weren't quite sure that they ever had sold a gluten free bread and mentioned that they used to sell some sort of small gluten free cake but that they don't sell it anymore. But no need to worry, I will keep you updated if I hear anything more. Also, last week I featured the brand Kettle Cuisine on my website and I mentioned the 2 new soup flavors that will be available this spring. Well, they will actually both be available starting Fall 2009. Alright, well tomorrow morning there will be a brand new article on a tasty gluten free cracker, so you don't want to miss it! Wow, wow, wow! Ms. Celiac Says...has received over 1000 visitors since I first started blogging in January 2009. We have people reading this site from 33 states. The latest states to add to our growing list are Arizona, Hawaii, Kansas, Michigan, New Hampshire, and Tennessee. We also have an assortment of international visitors from 14 countries including the most recent additions of visitors from Denmark, Germany, Greece, Jamaica, Turkey, and the United Kingdom! THANK YOU ALL FOR YOUR SUPPORT! WE APPRECIATE EACH AND EVERY READER AND ALL OF YOU WHO HAVE BEEN SPREADING THE WORD ABOUT MS. CELIAC SAYS...! This past Monday, we featured a brand of gluten free soups called, Kettle Cuisine. Just to let everyone know, they will be releasing 2 more gluten free and vegan soups this spring: a Three Bean Chili Soup and an Organic Roasted Eggplant and Tomato Soup. So, make sure to keep your eyes open for those great new flavors. Congress is re-evaluating the child nutrition programs in the United States that includes both the School Lunch Program and the School Breakfast Program. The American Celiac Disease Alliance is asking you to write to your lawmakers asking them to consider the needs of Celiac students and to urge them for funding to provide special diets to these students so that ALL children can have lunch at school. I wanted to let you know that I have added several great gluten free products to Ms. Celiac's Market. You can now purchase Celestial Seasonings Tea, Glaceau Vitamin Water, Rao's Tomato Sauce, Dr. Brandt Anti-Oxidant Water Boosters and Skincare products. You can rest assured that the only items available for sale have been taste-approved by myself so no need to panic about wasting money on awful gluten free items. Since, I started on a gluten free diet I haven't been able to walk into a deli and order much of anything except a plain salad or some deli meats until I found Bloom's New York Deli. Bloom's New York Deli is located near Grand Central Station and has a gluten free menu that features salads, eggs and omelettes, burgers (no bun), french fries, smoked fish, and deli meats served on gluten free toast! The deli has lots of seating but you can also take-out or get free delivery between 7 AM and 9:30 PM if you spend over $10. Even better they are open 7 days a week for breakfast, lunch, and dinner. The other day I ordered a turkey sandwich with a side of french fries. The turkey sandwich was just what I was looking for - some nice plain turkey on toast with a little lettuce. The french fries were a little bit too thick and greasy for my liking, but I know many others who rave about them! I must say that the place is extremely expensive - $16.55 for a gluten free turkey sandwich with a side of fries! But, it is definitely convenient to be able to go to a deli and order gluten free. My favorite brand of tea is Celestial Seasonings bagged teas. There is nothing like a cup of their Peppermint tea to calm a bad stomach or their Chamomile tea to relax tense nerves. Although, not all of Celestial Seasonings teas are gluten free they do offer a wide assortment of gluten free flavors. For those of you maintaining a Kosher diet, you are in luck because they are Kosher too. And some of the teas are organic. 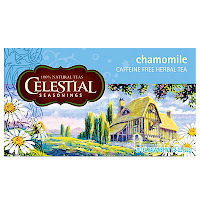 Celestial Seasonings teas are available at most supermarkets. For more information, please visit www.celestialseasonings.com. If you have Celiac Disease and have been sick or just very cold, you've no doubt realized that it is extremely difficult to find any gluten free soups that are actually worth eating. Recently, I've discovered a line of amazingly tasty gluten free soups by the brand, Kettle Cuisine. For the past few days, I've been sick with an awful virus, but these soups are helping nurse me back to health. Kettle Cuisine makes all natural soups from scratch for restaurants, food service accounts, supermarkets, and specialty retail outlets. Their gluten free soups are manufactured in a dedicated facility in Chelsea, Massachusetts. The soups are made from the best all-natural ingredients and are high in proteins like chicken and beef raised without antibiotics or growth hormones. The only salt that is used is sea salt. For more information on where Kettle Cuisine's gluten free soups are available in your state, visit their website at www.kettlecuisine.com.